As part of our continued efforts to create a positive lasting impact on the society, we have recently formed a partnership with DAM (Dhaka Ahsania Mission) to bring the light of education to underprivileged communities. Through this partnership, we will provide free access to quality education to out-of-school children who unfortunately had to drop out of mainstream schooling due to life�s hardships. 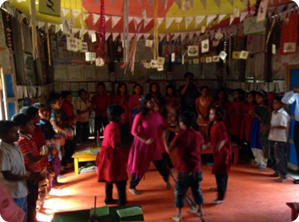 This partnership will build and operate 75 Children Learning Centers, thereby providing education to 3,000 out of school children in the Melandah Upazila of Jamalpur district, which has historically suffered from very low literacy rate. 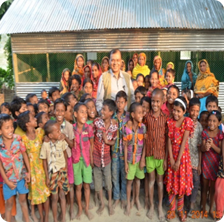 Dhaka Ahsania Mission-Marico Children learning Center (DAM-MARICO CLC) is a three year Project starting from October 01, 2014 and ending on September 30, 2017. The Project Location is Melandah, Jamalpur. DAM-Marico CLC is a co-finance project of DAM-CLC core project. The core project has started from 16 December 2012 and will be ended on December 2017. DAM-Marico CLC has been started from 1 October 2014. 75 Children Learning Centers ( CLCs) are established and operated. 75 Teachers are selected and trained. 12 staff are recruited and trained. One central office and 1 Area office are established, staffed, and fully operational. 75 Community Action Groups (CAGs) are set up to manage successful construction and establishment of CLCs. 75 Center Management Committees (CMCs) are established and operating. CMCs are given training and are fully responsible for monitoring attendance, enrollment, and performance of out-of-school children in CLCs. Why the DAM-Marico CLC Project? 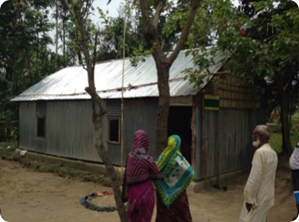 For Marico Bangladesh Limited, the DAM-Marico CLC Project is a big plunge towards making significant contributions in the CSR arena. A lot of exploration and research was done in terms of which area should the initiative be focused at and what would be the initiative. Research was done to identify areas where MBL would invest for its CSR initiatives and whether the implementation of the CSR program would be done directly or via collaboration with any organizations. To partner this project, research was undertaken and three organizations were shortlisted. 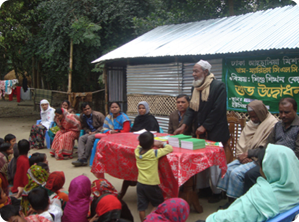 Meetings were conducted with all three organizations and basis our research and feedback received from external parties, the decision of partnering with Dhaka Ahsania Mission (DAM) was taken as they are very well established, one of the oldest NGOs and have got a great reputation in terms of work they have done in the country. Marico Bangladesh has individual identity and Reporting system within the project. MBL is partnering this project with DAM where DAM is responsible for executing it. MBL is completely responsible for funding of the 75 CLCs. There is a complete schedule of payments that is to be made for the project over a period of these 3 years. MBL releases funds every 6 months after having all queries answered and receiving the request for the release of the donation of the next 6 months. The CSR program is anchored directly by the MD and HR Director with full approval and guidance from the board. Jamalpur, geographically is a very sensitive place. It is surrounded by two major rivers: Brahmaputra and Jamuna, cutting across the entire district. During monsoon, these two rivers keep changing their directions and as a consequence of that, there is a gain of land in some places and a loss of land in others. Therefore, people move to those areas where there is a gain in land and move out of those areas where there has been a loss of land. The lifestyle of the people living in the region is migratory as they often have to locate from one place to another. This means that the people of this district usually cannot have a permanent school and children�s education gets hampered. 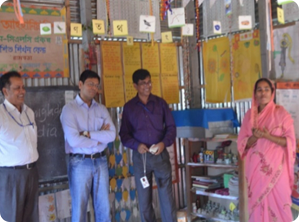 DAM-Marico CLC successfully solves the problem faced by the community by building make-shift schools which will move with the community whenever the need arises for the entire community to move (especially due to the frequent migration of the community arising from land loss). 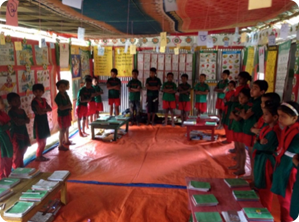 The school is able to move with the community as the teacher is from the community and project model is designed in such a manner that the school will ultimately be run by the community. The program effectively targets primary school aged children, and makes them ready for mainstream education by providing them Non-formal Primary education. It would be more difficult with children of higher age group as the dropout rates would be higher because those children would have already been engaged in some kind of work which would act as a big obstacle to their education. The beneficiaries of this project are not just the 3000 children and their families but the entire related communities as well. The CLCs will have 100% attendance thereby resulting in children doing what they are supposed to do- getting knowledge and education. The project will not just employ people from the communities as teachers but there will be extensive training provided to the teachers as well. Parents in particular will be more involved in education and sending their children in CLCs, the project will have positive spillover effects due to increased awareness and ownership of parents in the community. The involvement of the community as a whole will result in primary education becoming self-sustainable in the particular areas. The children who once had a flavor of education will be able to finish their primary education and with the involvement of the community, these children will be ready for mainstream education.